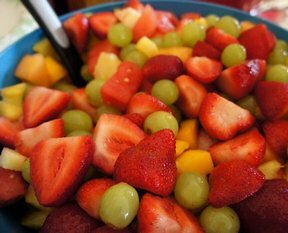 Refreshing fruit salad is welcome anytime -- serve at brunch, at dessert or snack time, or bring to a potluck. 1. 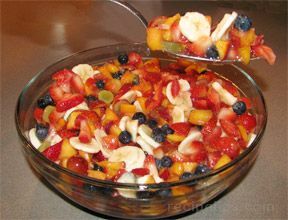 Mix fruit, confectioners' sugar and vanilla in large bowl. Cover. 2. 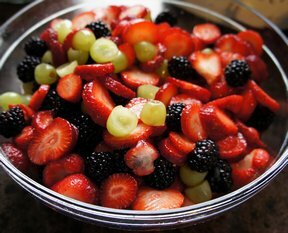 Refrigerate 1 hour or until ready to serve.Raspberry Fruit Salad: Prepare as directed. Use McCormick® Raspberry Extract in place of the vanilla.